Panama candle tree is a relative of the Calabash tree. 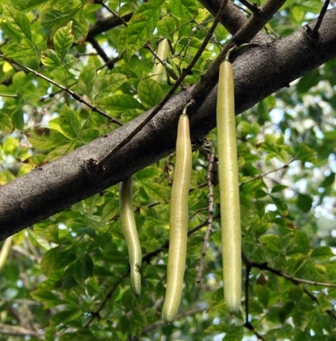 The trees produce thousands of 12 to 30 inch long, waxy skinned, green-yellow fruits resembling tapered candles. Striking waxy skinned green-yellow fruit that is popular in parts of Mexico. Fruits grow to 12″ long. This tree is native to Central and South America. It is quite popular in some areas of Mexico. The seeds are also edible. Panama candle tree is also grown as an ornamental for its flowers and unusual appearance when the fruits. A medium sized tree upto 25 ft tall with rough bark. 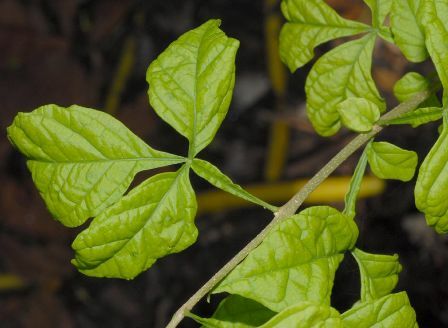 Leaves are winged petioles with three-ovated leaflets. 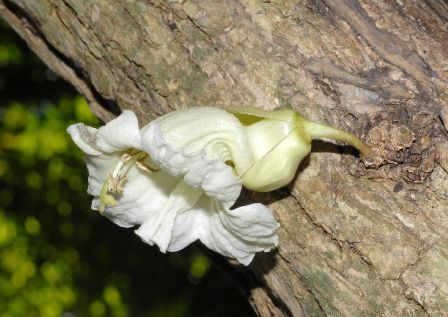 Flowers white, bell shaped upto 8 cm long, borne directly on branches. Fruits yellow, upto 80 cm long, waxy, resembling yellow candles, spongy; edible, juicy, sweet. Panama candle tree fruits, though fibrous, are sweet and edible. They have a flavour resembling that of sugarcane. These are eaten raw as well as cooked. These are also made into pickles and preserves. Local people consider the fruits a good remedy for cold. The roots of this tree are used as diuretic. 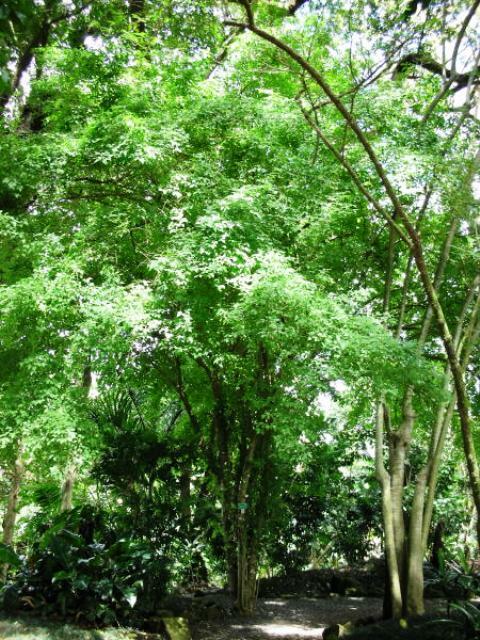 Though Panama candle trees are adapted to a wide range of climatic conditions but are most frequently found mostly in high-rainfall forests. Though it is a tree of tropics, but still it can withstand moderate frosts. In fact, this tree is adaptable to a wide range of climatic conditions. 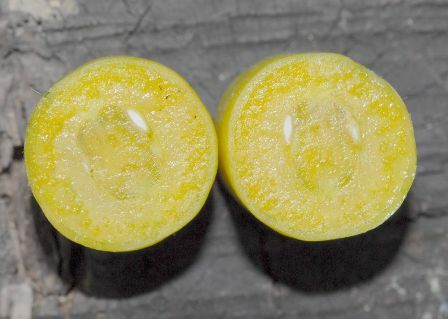 However, no attention seems to have been paid yet for standardizing the cultivation techniques of this fruit. In high rainfall areas, this trees grow quite fast.